DriveWorksXpress is ideal for everyday repetitive design tasks. 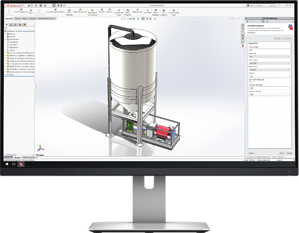 Use it to create multiple variations of SOLIDWORKS Parts, Assemblies and Drawings quickly and accurately. It is included in every license of SOLIDWORKS. More and more companies are adopting design automation techniques to save time, reduce repetitive engineering tasks and minimize costly errors. Design automation is becoming the norm. Engineering students and professionals can gain the skills they need by completing the DriveWorksXpress Training and Certification. The DriveWorksXpress Training and Certification is a free certification for all students and professionals who have access to SOLIDWORKS. On completion of the DriveWorksXpress Certification you’ll receive a professional certificate to add to your resume and prove your knowledge. Are you interested in obtaining a DriveWorksXpress Certification? Click below to register!